Glass Vase, Painted almost any color you wish. Can be painted to match almost anything in my shop. Would look beautiful with a small bow wrapped around the neck. 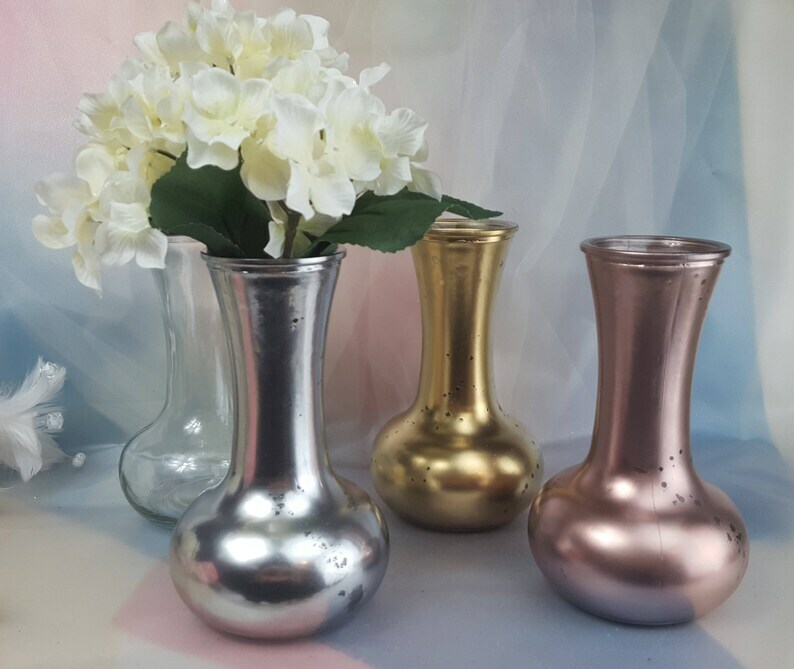 The Mercury Effect painted Vases do not get glitter - if you would like glitter on the other colors ... yes we can. Don't let all the color options confuse you - they are the same colors just either mercury or glitter or no glitter. If you have any questions, please just ask. I usually respond quickly.